“We sincerely appreciate the support we received from our friends, business partners, sponsors and participants of this event. 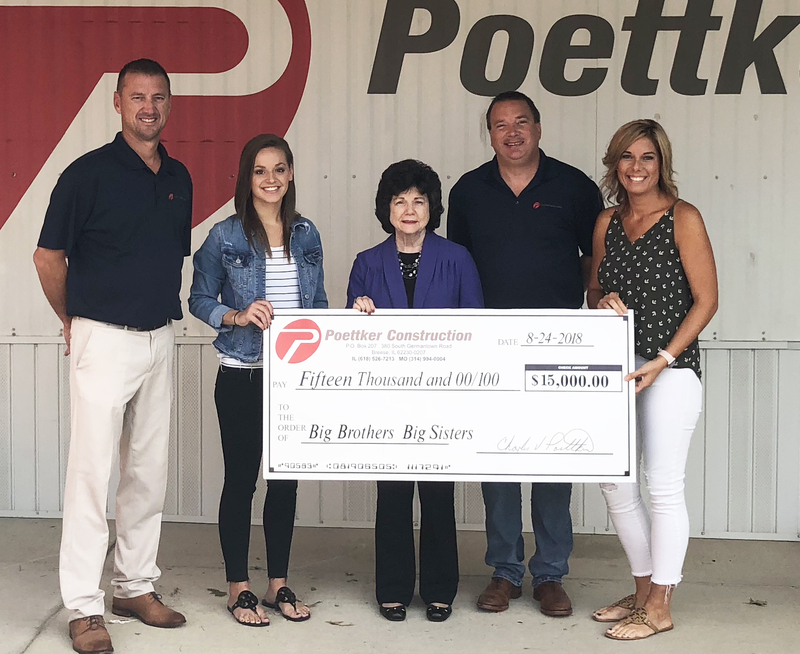 This annual event gives us a chance to give back to the community which we have been a part of for 38 years,” said Kevin Poettker, BBBS board member and director of business development for Poettker, which is based in Breese, Ill. Proceeds from the tournament, which was held on July 27 at Governors Run Golf Course in Carlyle, will be used to support BBBS’s mission to help children realize their potential and build their futures. Since 1980, BBBS of Southwestern Illinois has provided mentors for more than 500 youth facing adversity in Clinton, Madison, Monroe and St. Clair counties. “Congratulations on a successful tournament! Everything was well organized and folks had a great time”, said Barbara Cempura, interim president & CEO of Big Brothers Big Sisters of Southwestern Illinois. To learn more about BBBS of Southwestern Illinois, visit www.bbbsil.org/.